The Japanese in Latin America. 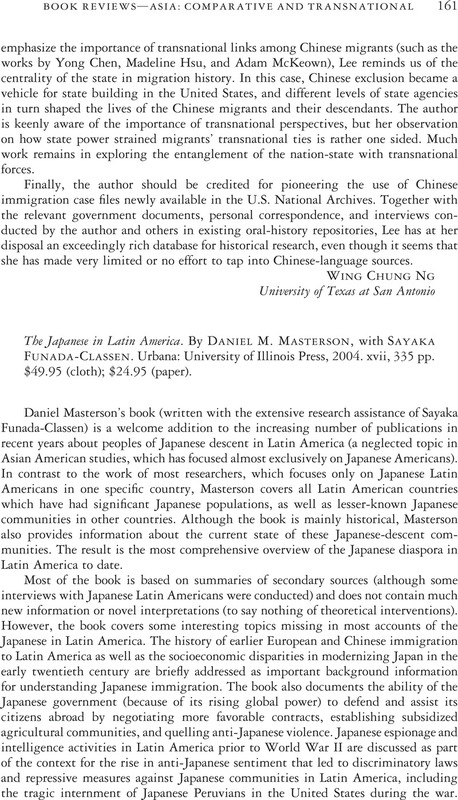 By Daniel M. Masterson, with Sayaka Funada-Classen. Urbana: University of Illinois Press, 2004. xvii, 335 pp. $49.95 (cloth); $24.95 (paper).